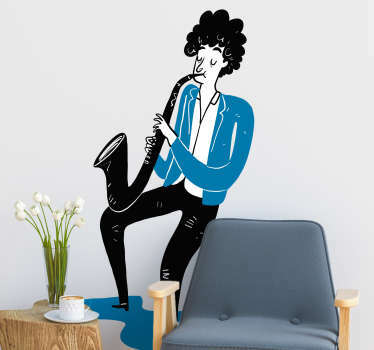 A collection of wall stickers with different designs inspired by the saxophone. 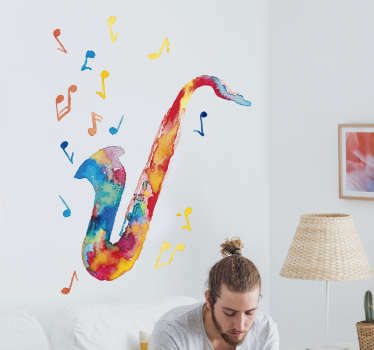 Do you love the sound of this awesome musical instrument? 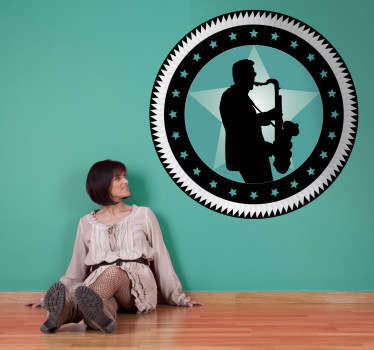 Perhaps you are a fan of jazz music? 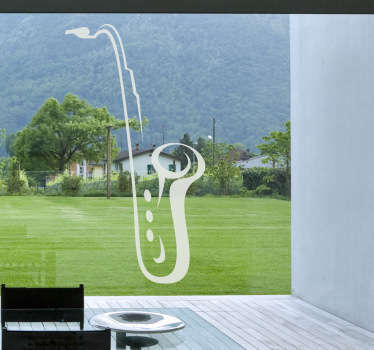 If so then why not decorate in a way to suit you with these saxophone stickers. 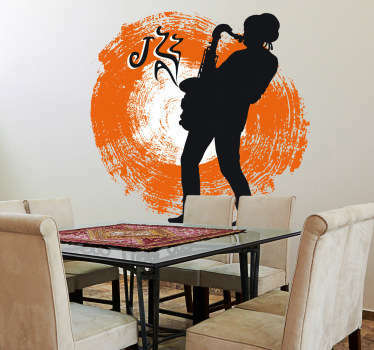 Choose from designs of people playing the saxophone as well as saxophone silhouettes. 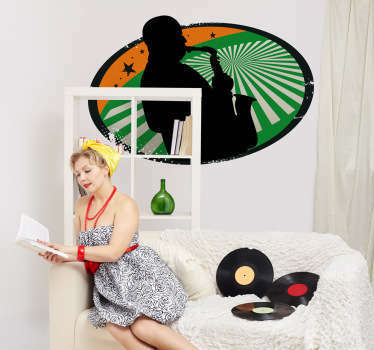 Ideal for decorating music rooms in your home or in schools.